Michael Doane, the well respected author of the SAP Blue Book and the SAP Green Book, has published an excellent article on his blog about the pressing need for getting the business back in control when it comes to ongoing process improvements. For way too long, there has been excessive focus on improving the technology itself rather than concentrating on how the business gets value from it. 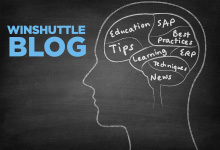 Doane’s article was a comforting read because the key message on the need for customers to move into the business realm of SAP is exactly one of the core principles guiding the product development here at Winshuttle. All of our tools for solution composition are aimed at business users and analysts, and involve no programming. Underpinning the toolset is our governance platform which allows IT to meet the non-functional requirements such as security, availability and performance. This is the real domain of IT and this is where they have the expertise. With a clear separation between IT governance and solution composition, IT can concentrate on enabling the platform and the business can focus on building solutions on their own timeframes. Winshuttle’s Enterprise platform includes quite advanced capabilities such as web services, electronic forms, and flexible workflows. These enabling technologies have traditionally been the domain of IT, particularly in the world of SAP. However, the Winshuttle product suite is first and foremost aimed at business users. The philosophy being that the people that understand the business process and the current pain points are also the best people to compose a solution. 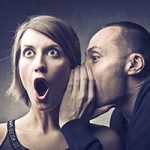 Building a complete solution that fully automates a business process in an enterprise context is unlikely to be possible without some contribution from IT. We fully acknowledge that. But following the Winshuttle approach, we ensure that the business stays in the driver’s seat throughout the journey while IT can focus on enabling the platform. IT builds the dance floor. The business does the dancing.